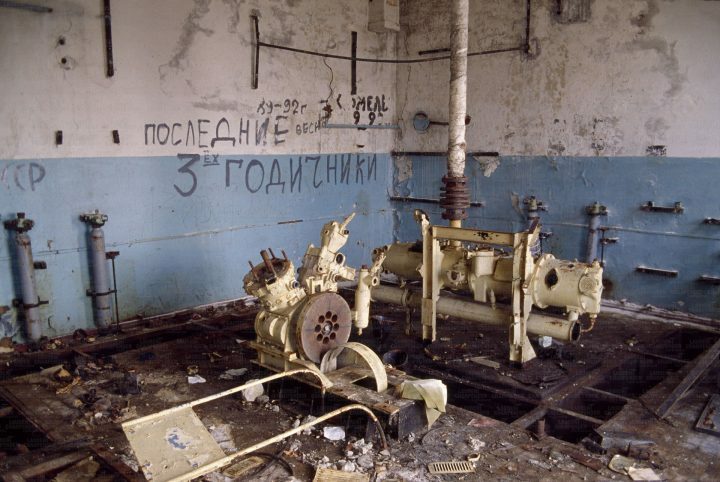 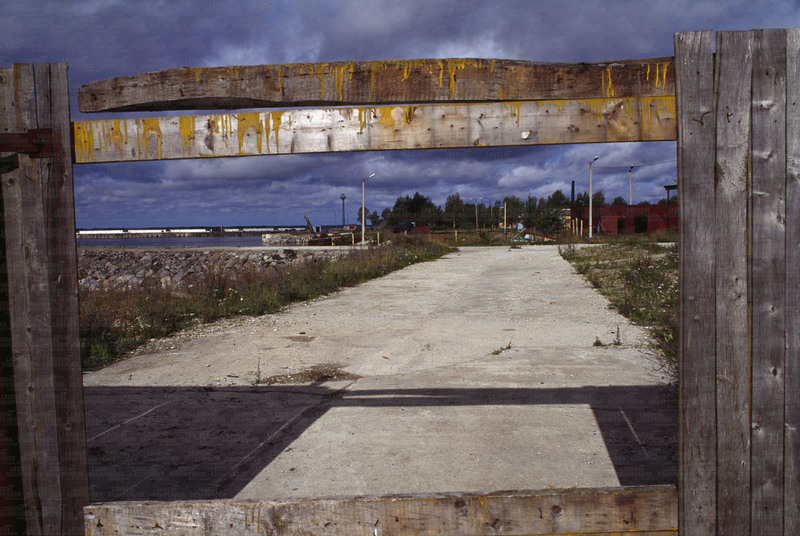 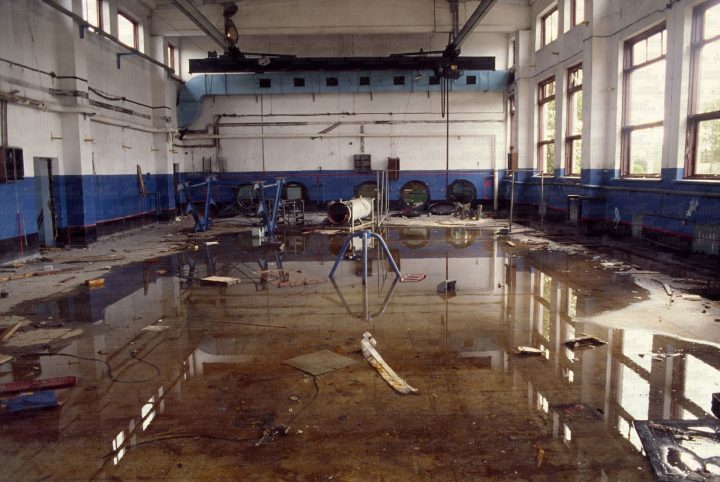 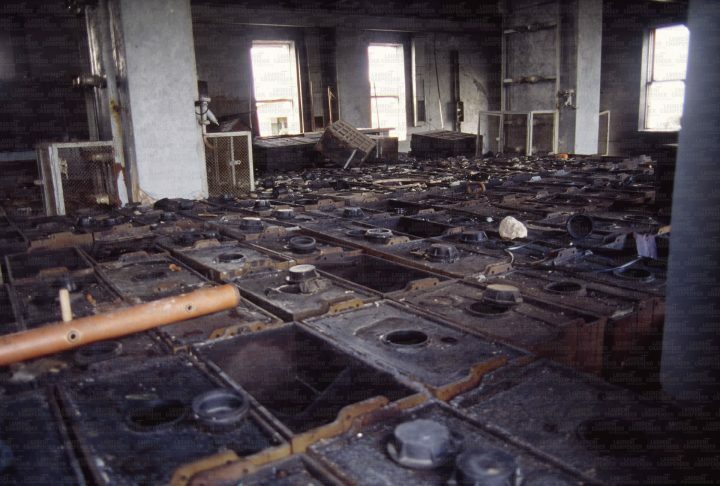 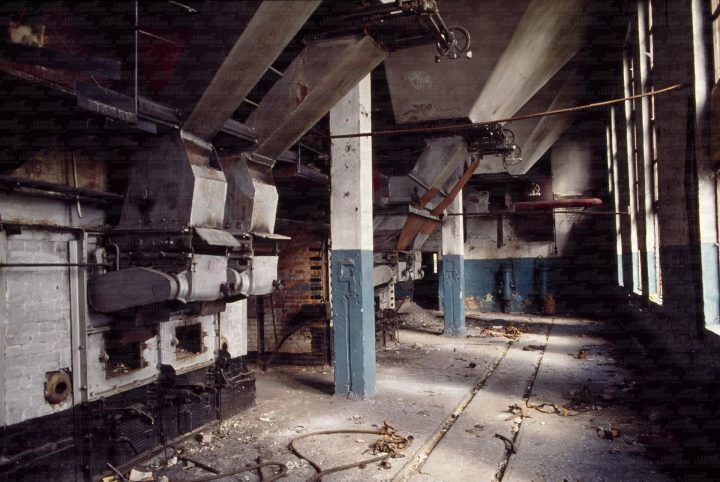 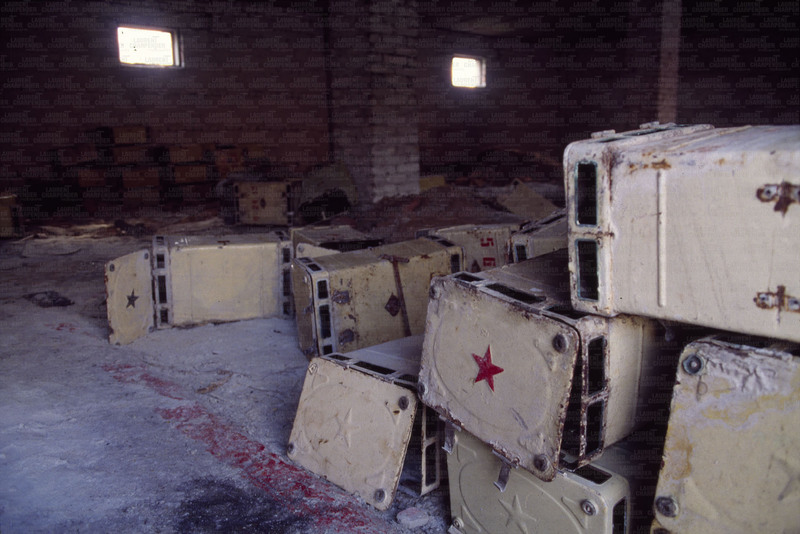 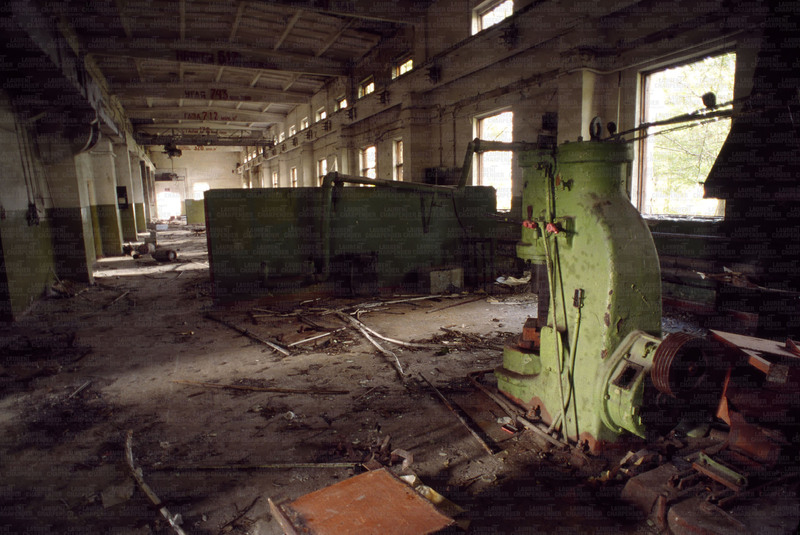 In 1993, the Russian naval base of Paldiski (Estonia) is deserted, discarded, and wide open to the visitor. 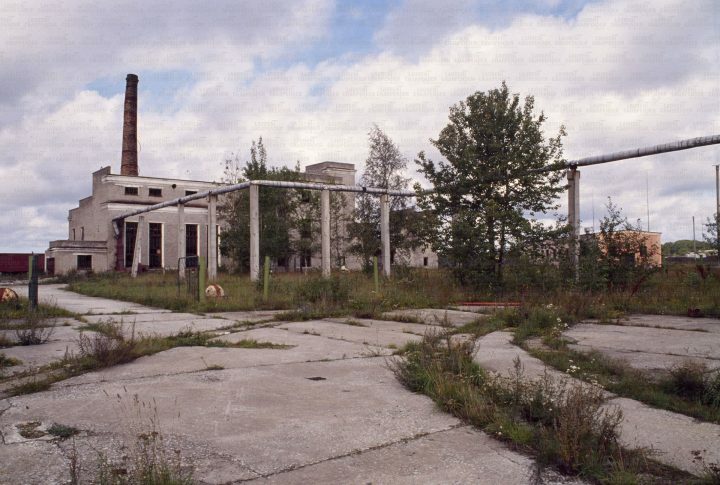 4 years after the fall of the wall of Berlin, all the buildings of the secret base are in ruins. 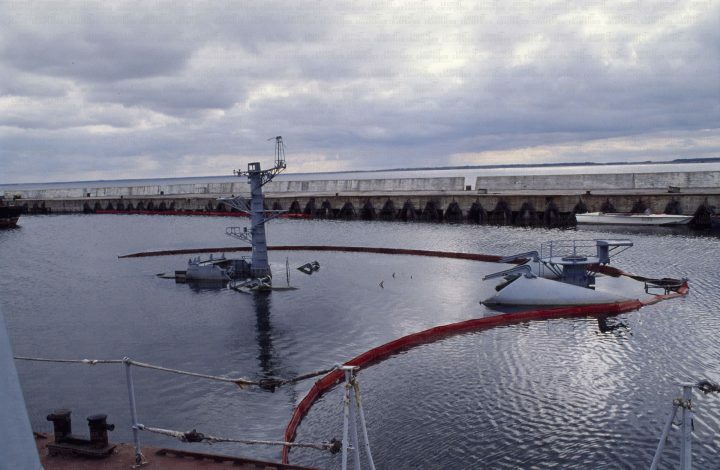 During the cold war the place was a nuclear submarine training center. 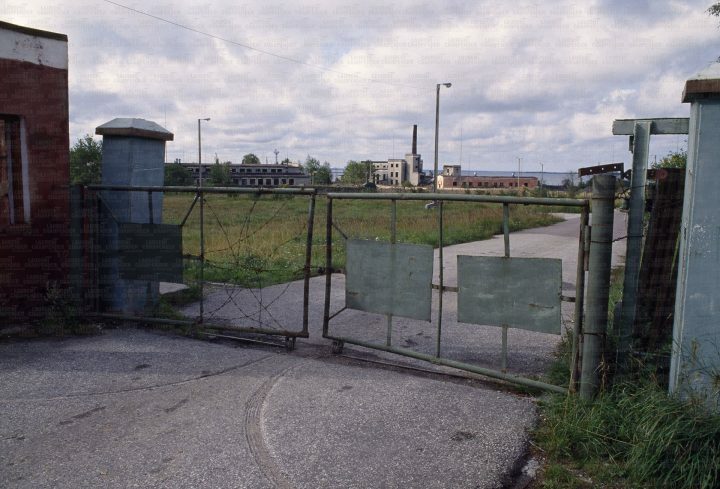 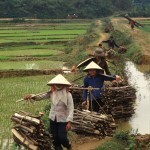 Around 16 000 people were working here and the whole city was closed with barbed wire. 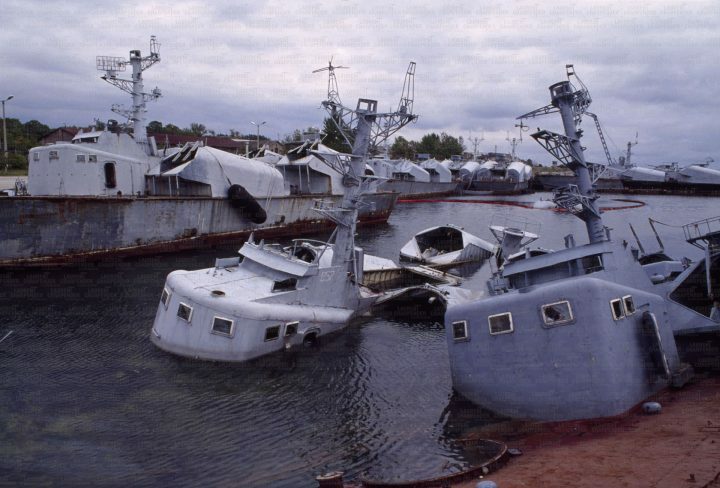 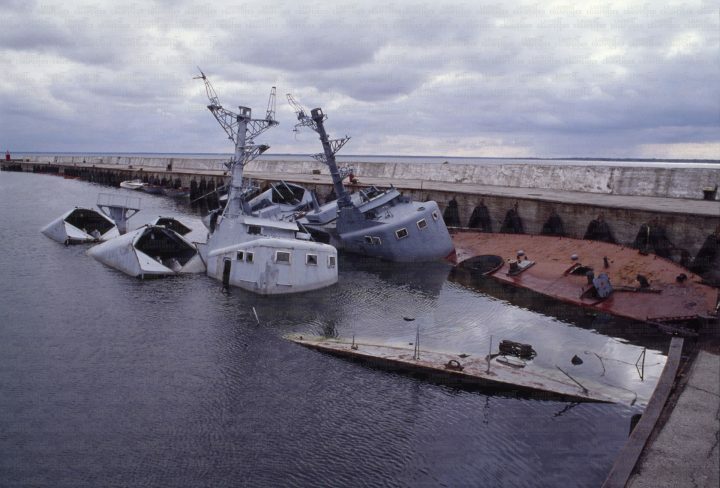 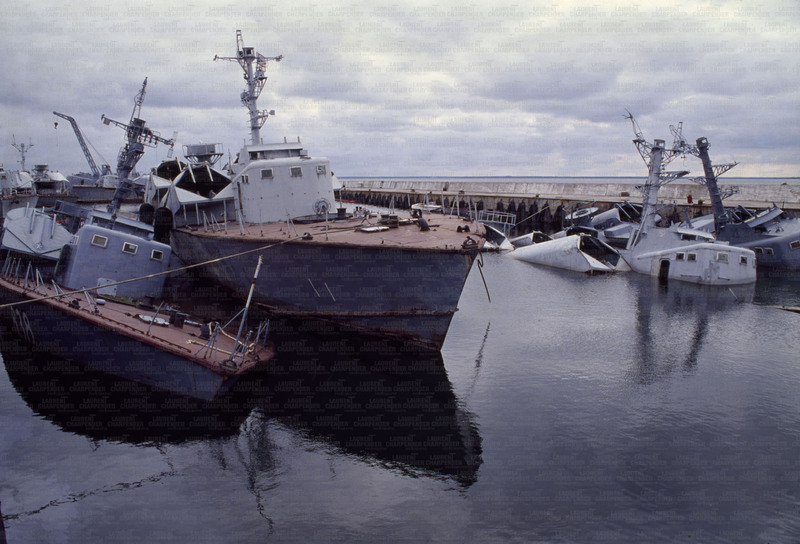 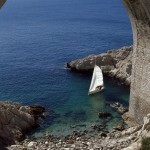 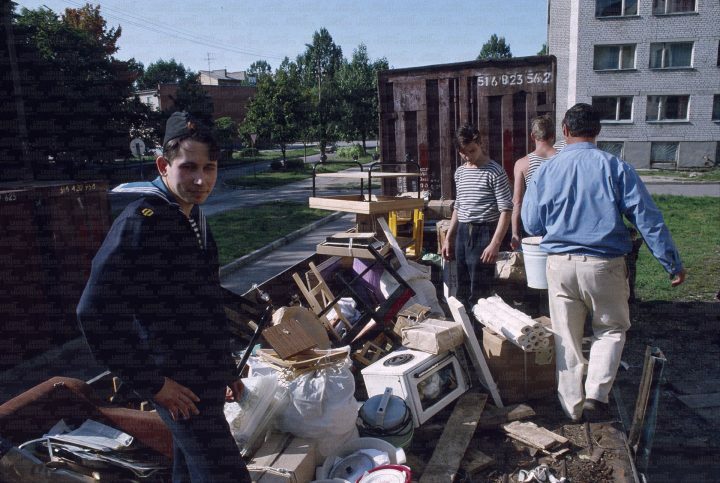 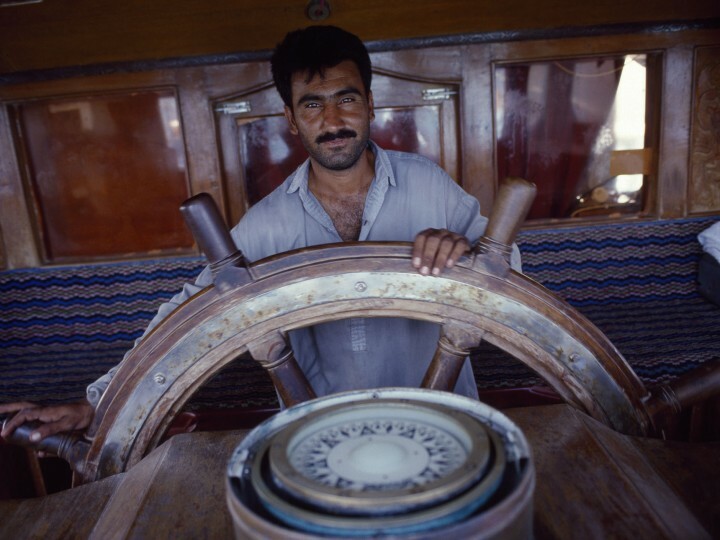 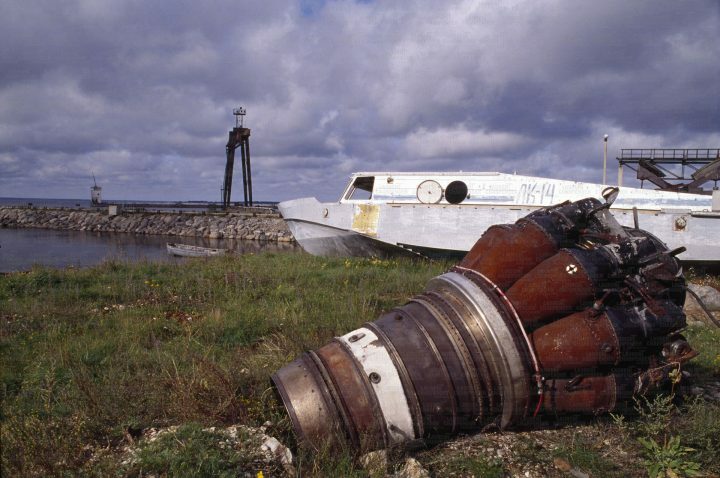 In 1993, a dozen of Russian warships were left as wrecks in the port. 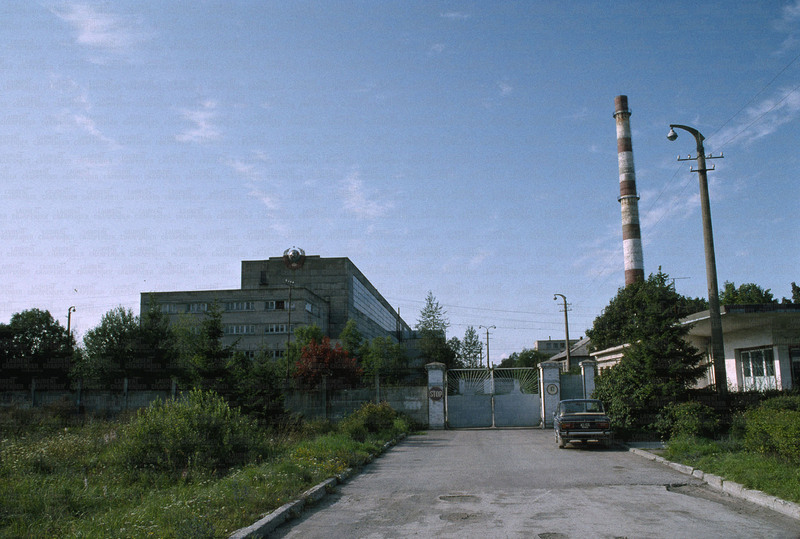 The control of the two nuclear reactors have been relinquished by Russia in 1996. The housing blocks no longer appear dilapidated. Now, the port can accommodate cargo ships and ferries. 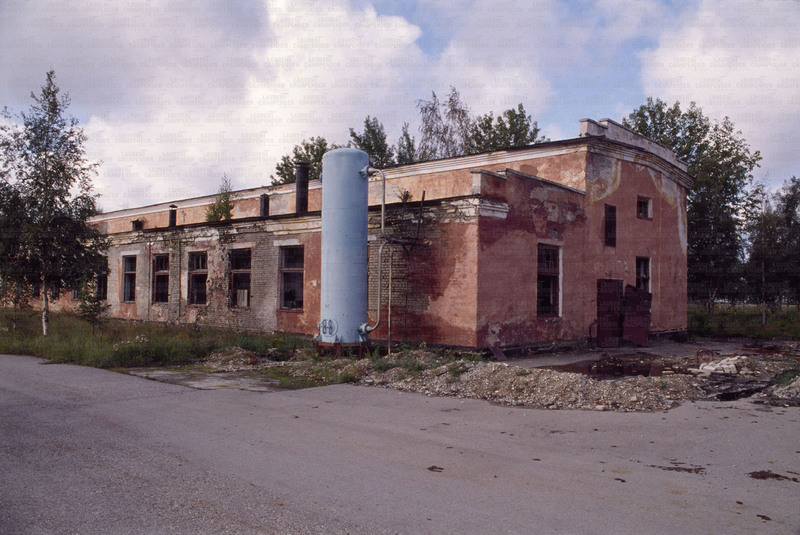 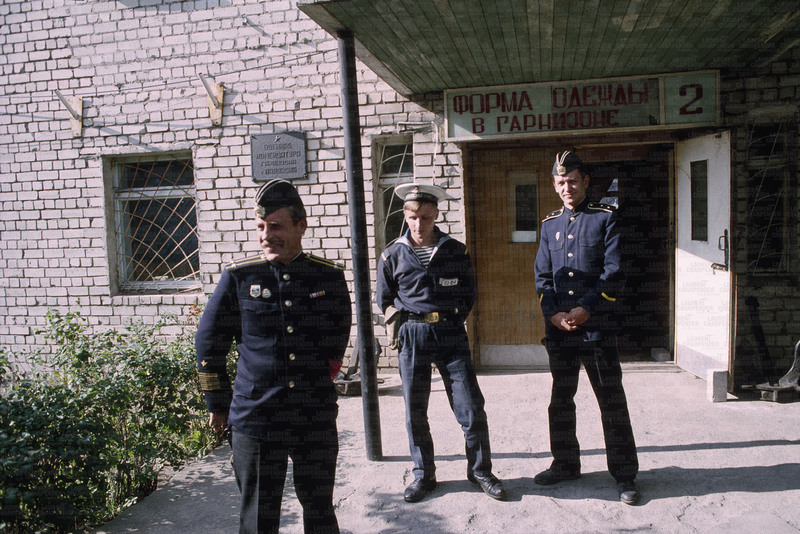 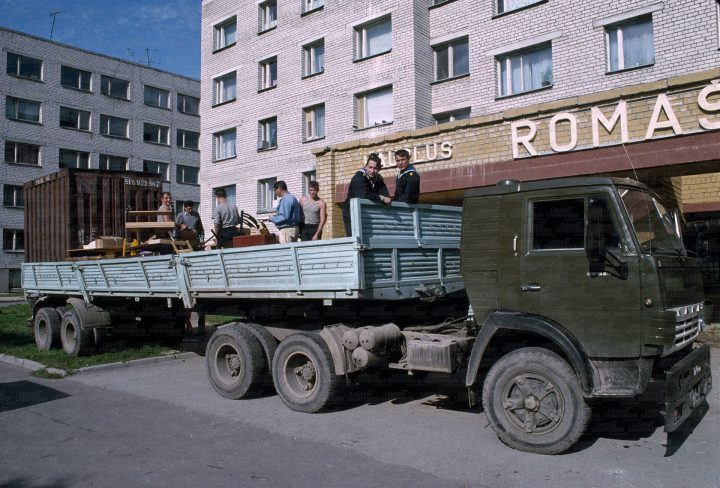 Today the majority of the inhabitants of Paldiski is still Russian.